Car accidents. A car crash can happen in a moment and change your life forever. Whether your injuries are minor or catastrophic, one of our skilled lawyers can fight the insurance companies on your behalf to get you the settlement you deserve. Truck and other commercial vehicle accidents. Trucks, vans and other commercial vehicles have the weight to cause much greater injury and damage than car accidents. These types of accidents can also get complicated, as there may be several different responsible parties and several different avenues of potential compensation. Motorcycle, scooter and moped accidents. Accidents of this nature can be particularly injurious as the rider does not have protection against the elements, the road or the other vehicles. Serious injuries of this nature require that you have a diligent, knowledgeable lawyer on your side to get the full compensation you may need for medical bills, lost wages and other expenses. Distracted driving accidents. Distracted driving comprises both drunk driving and driving while texting or talking on the phone. Anything that takes a driver’s attention away from the road could qualify as a distraction, whether that’s talking with other people in the car, eating or grooming. Our dedicated lawyers can help you recover all the money you deserve if you were injured by a driver who wasn’t paying enough attention. Accidents caused by dangerous roads. If your injury was caused by a dangerous condition on a road, such as ice, debris or a blind intersection, you may be eligible to collect compensation from the property owner who should have kept the area safe. Pedestrian and bicycle accidents. People out walking or biking are no match for a car in a collision. Because injuries sustained in these kinds of accidents can be catastrophic, these cases require a keen, experienced lawyer who can fight effectively for appropriate compensation. Uninsured and underinsured motorist accidents. If the driver who hit you was uninsured or underinsured, you may think you have nowhere to turn for help paying your medical bills and other costs. This may not be the case. Our injury attorneys can look at the details of your case and determine what sorts of options you may have. 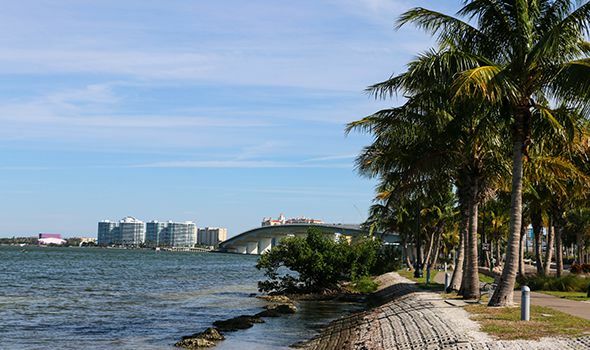 In addition to getting justice for people hurt on the roads of Bradenton, Sarasota and the surrounding region, we also represent victims of boating accidents. Our law firm has established an impressive record of verdicts and settlements. In one case, we recovered $1.1 million for a couple hit on their motorcycle by a negligent driver. The collision led to substantial orthopedic injuries and the loss of the husband’s spleen. To discuss your case with a motor vehicle accident attorney, call us at 941-748-2916 or send us an e-mail. Our focus is on helping you. You will pay no fees or costs unless we get results for you. If you are unable to come to us, we can come to you.